It’s like icing on the cake. Sure to bring you lots of attention . 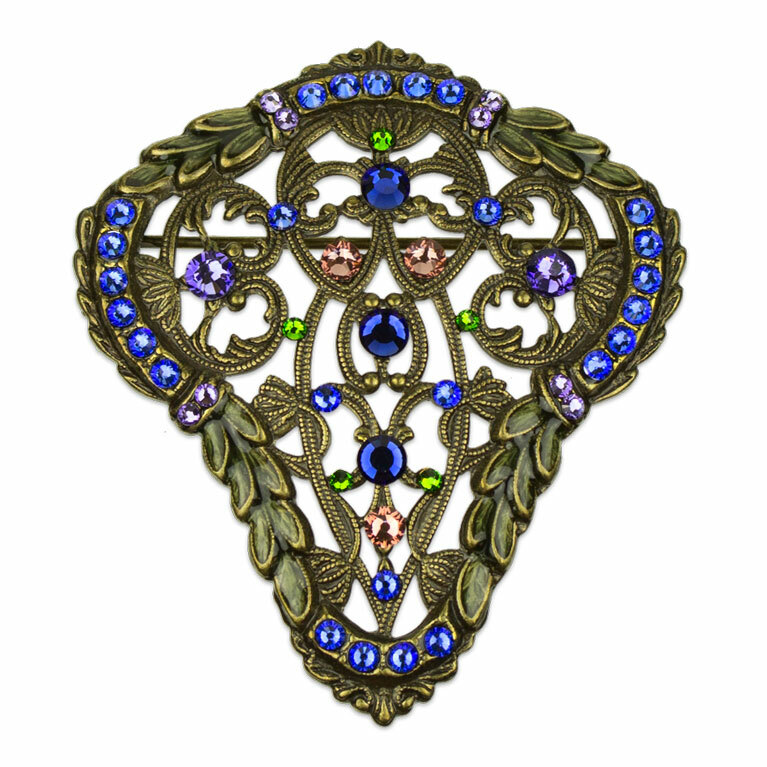 Our large shield shaped gold-toned pin has been hand enameled in transparent green tones with complimentary hand set Swarovski® crystals in sapphire blue, pink, lavender and green.